Contract administration has always been an important part of any construction project but has been neglected over the years, and the recent economic decline has brought contract administration under project management to the forefront once again. In the past, small extensions may have been undertaken by local builders for the private client, for a word of mouth sum, of which as the project proceeded hidden extras appeared and the contract cost would inevitably end up 30 or 40% more than the original quotation. Now that we are in the current economic downturn, the general man on the street is more cautious when proceeding with building works and investing his hard earned money. Controlled contract administration on site, as detailed below, will help stop these hidden extras from occurring. Following the selection of a competent Builder with a winning tender, the project will proceed and will be based on a contract specific to the construction industry, the more common of which is a JCT Contract. 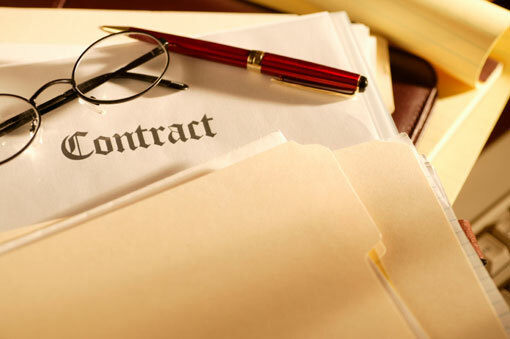 The JCT Contract is a formal document that sets out the works that have been quoted for. This includes all of the specific detailing, the pricing, how the contract will be paid for at specific points, and that requests for payments from contractors will be valued by a professional, checked against the original tender and verified as acceptable before any payment is authorised. This in effect will stop the contractor taking money up front. On each interim payment there will be an Interim Payment Certificate given, verifying that the payment can be made and stating a retention of that payment, that will be paid partly at the end of the project and partly six months following the end of the project to ensure there are not any defects that require to be put right. If these defects are not put right within that period, the remaining payment will be retained by the client. We all know about the inevitable list that appears at the end of the contract, that the contractor may surprise you with, which lists all the additional extras that were not quoted for, but have been done and the contractor now wants paying for. Sometimes these extras can add up to large sums of money which have not been budgeted for, that the client has not been made aware of and was unaware that they were going to be invoiced additionally for. If the work is being undertaken under a JCT contract this can be avoided as any additional works that are requested by the client or that are required by the contractor due to unforeseen circumstances must be firstly quoted for by the contractor, verified by the contract administrator, and signed off by the contract administrator and the client, as an acceptable quotation to undertake that additional works. If that additional works is not signed off, then it will not be paid for, and this will be at the expense of the contractor. At the end of the project, the retention that has been taken from each payment will be partly paid back to the contractor for completing the project. We then enter into a six month period – the rectification period where if any of the contractor’s works is defective and requires to be finished, the contractor will be notified and requested to come and put the defect in good order. On the satisfaction of these works the remaining percentage of the retained money will be given to the contractor. If the contractor neglects the additional works, and does not rectify any defects in that period then the retained money will not be paid to him, and will be used to pay another contractor to put these in good order. 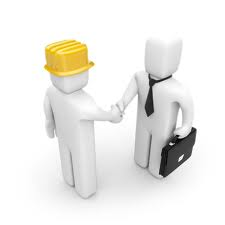 When setting out on any construction project it is always advisable on any size of scheme to have a contract in place to protect you and the contractor in terms of payment and additional costs. Don’t be caught out with the hidden extras.